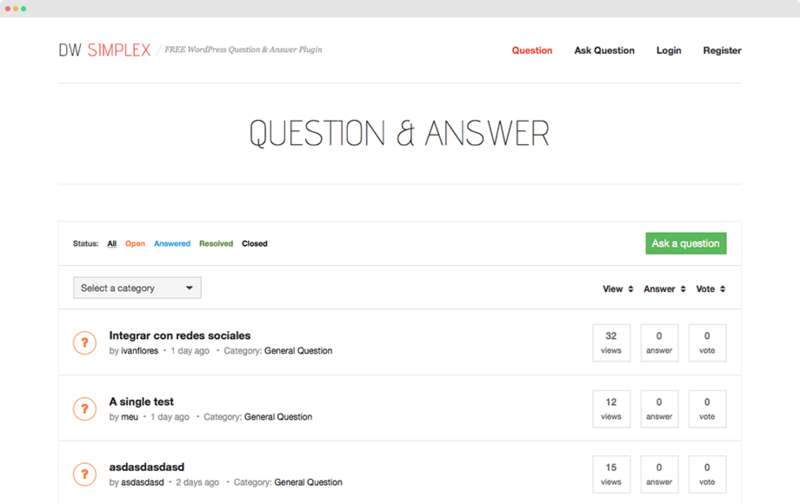 DW Question Answer is a WordPress Plugin which helps you build a Question & Answer system on your WordPress sites. The plugin is easy to install and set up. Let start building up your community with this WordPress question & answer system.